iPV5 Review: The Yihi SX-Powered Marvel Arrives! 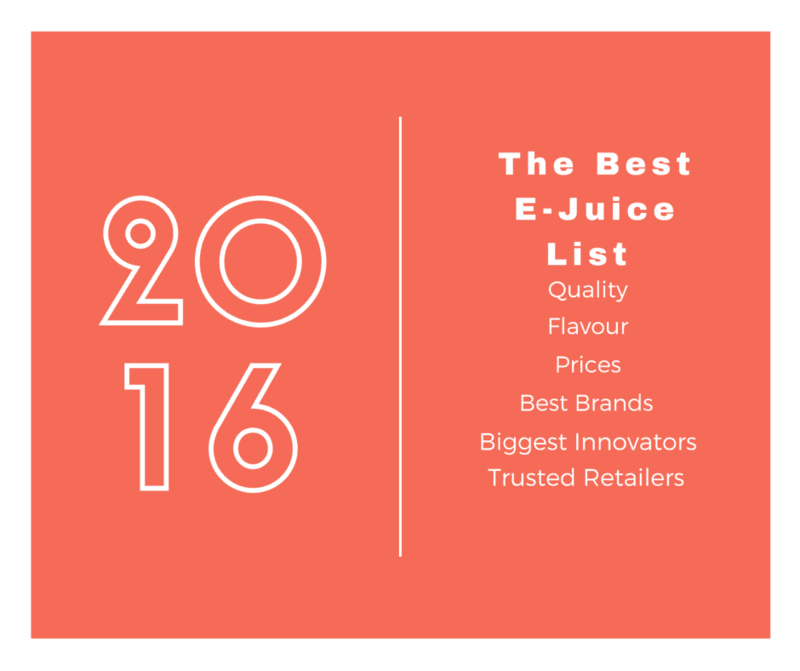 It’s TIME for VapeBeat’s iPV5 review! 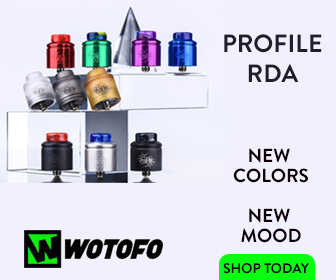 If you know anything about Pioneer4You then you know that they were one of the first truly pioneering brands in the vape space — hence the name. 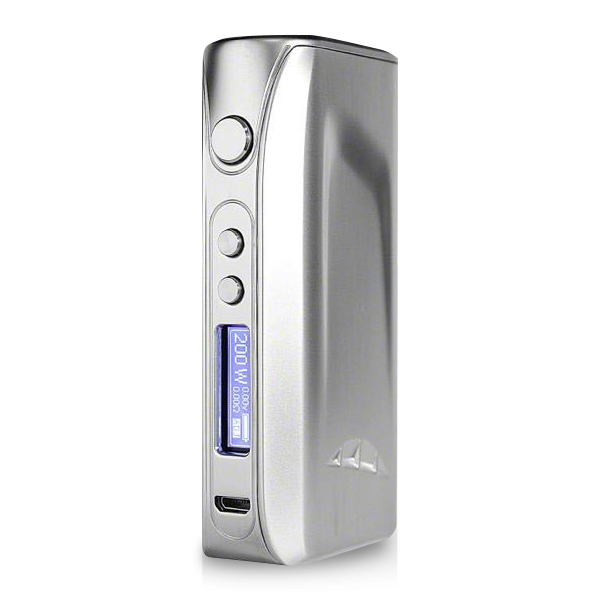 Today we’re going to be talking about its latest mod — the iPV5. Pioneer4You has made a lot of decent mods over the years, and is now back with the iPV5 which is one of the most anticipated mods of 2016 — at least, it was for us here at VapeBeat. The last couple of mods in this series of devices have been amazing. And whenever a new model of a solid series comes out we’re always a tad excited. But does the iPV5 live up to the hype? 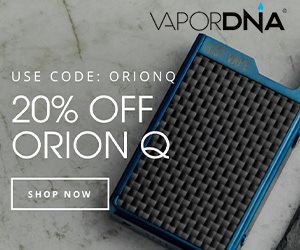 Does it have enough tricks up its sleeve to match the raft of DNA 200-powered mods now saturating the space? Let’s bloody well find out, shall we! The box is simple in its composition, just the way we like it. Up top you see Yihi SX Pure Technology logo, which just lets you know that you have a very impressive chip powering your iPV5 mod. The box also features an outlined drawing of the iPV5 and then on the back of the box you are presented with the usual information that tells you a little about the device and the contents of the box. When you open the box you have this lavish looking iPV5 — and it really does look stunning. There is also a USB cable for upgrading firmware, a user manual and warranty information. The designing of the iPV5 is actually really neat. On the side opposite the battery cover you have really cool battery venting found towards the bottom and an iPV logo engraved up top. 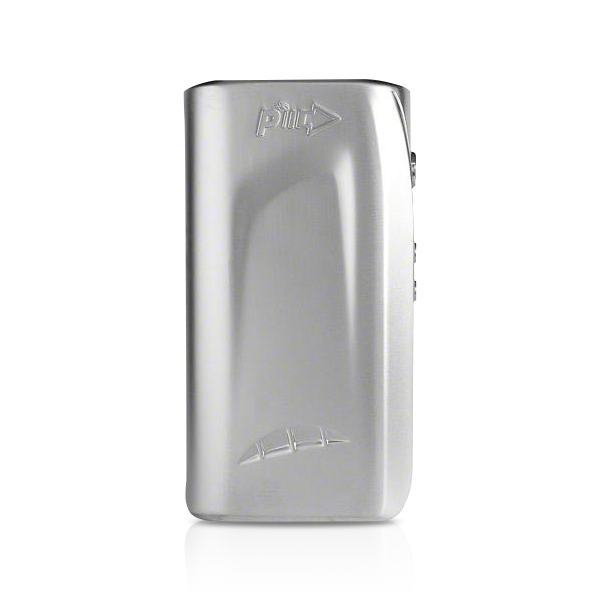 “iPV5” is also engraved on the side of the mod to good effect and the battery door is well engineered, sliding on and off with ease, whilst staying sturdily in place when attached. The bottom of the iPV5 has venting holes and the top of the iPV5 has a very nice fat daddy styled 510 connection. The iPV5 features a sort of indentation on its sides, and I’d described the overall look and feel of the device as sleek. 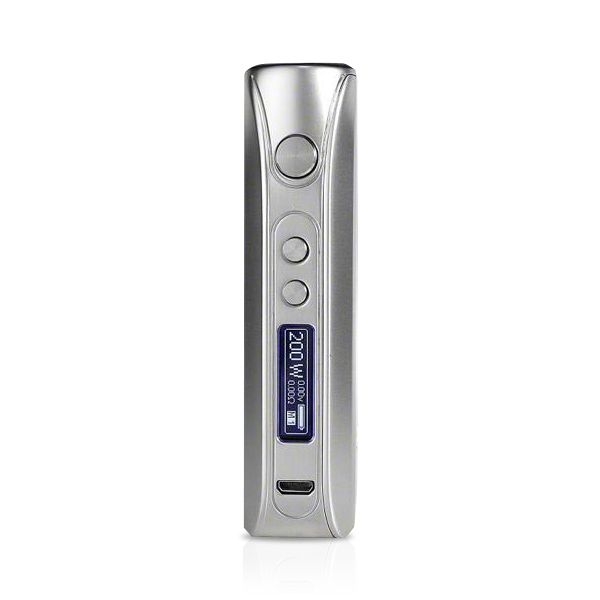 The battery sled is well implemented and handily features markings so you know which way to insert your batteries. During my test of the iPV5 I managed to get anywhere between one to two days of battery life. The difference was based on what tank or RDA I had on top. When using my Herakles RTA at .25ohms and pushing 80W I got about a day and a half. When I used my Crown v1 with the .5ohm coil I ran it at 50W I got 2 days. When I ran my DOGE 3 RDA with a .2ohm build at 115W, the iPV5 got me through a day of use with some life to spare. Now, I’m not really a chain vaper but I do hit it pretty hard. This means if you’re more of a moderate user you can expect even better battery performance. I used Samsung 25R (green) inside this mod. No matter what I threw on top of my iPV5 I could not get the iPV5 to give in, at all. The fire button is damn nice with its tactile click and the adjustment buttons are the exact same. The screen is amazing on the iPV5 with it’s bright OLED display. I was out in the sun all day and used the iPV5 with no issues. The 510 connection is floating so I had no issues with the check atomizer warning. The iPV5 never got too hot, no matter how I vaped it. There really is not fire delay per se, I mean it’s so slight that you don’t even notice it. Adjusting the device is very easy and user friendly. Well, we have reached the end of the article. Is the iPV5 just as good if not better than the iPV3Li? As it stands right now, yes, so far. 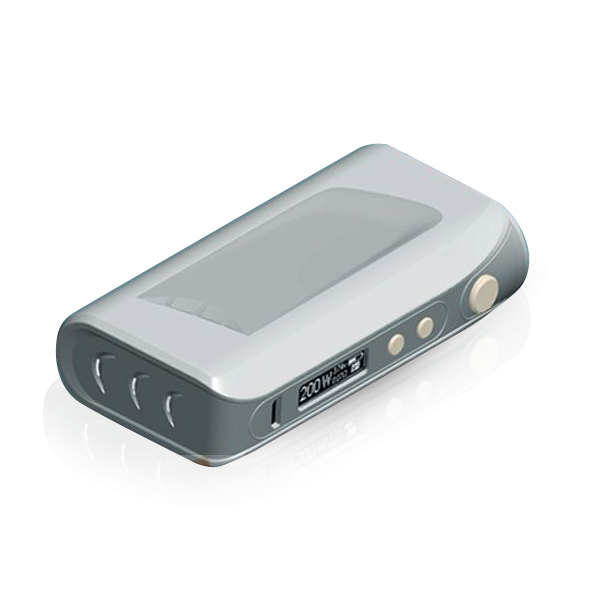 With the design quality and features of the iPV5 you should really have this in your line up. The Yihi SX chip alone is well worth the cost of the device as a whole. Performance, quality, and battery usage all are above average on the iPV5. This is one device that I would easily rate 9/10. Go get yourself the iPV5, you won’t regret it.